Entrance and parking: Disc and paycard parking at Gorey Harbour and on Gorey Coast Road. Free public car park at Long Beach. Pedestrian access from Petite Ruelle Muchie, Gorey Harbour Pier and via the main entrance at the Castle Green off Route de la Côte. 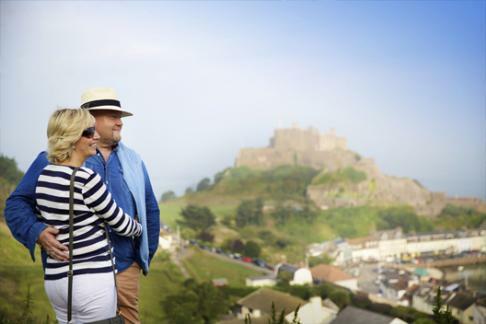 Gift Shop: The Jersey Heritage gift shop, selling gifts and souvenirs relating to the castle and to Jersey is located at the castle and is open to visitors and non-visitors.